The iPhone 8 is soon to arrive, and with it, Apple fans are already gearing up to check out the new features of iOS 11 as well as the expanded functions provide by Apple's latest hardware. All of those good looks and sleek apps would go to waste in the event of a drop or other severe accident, though, so it's best to wrap Apple's latest hardware up in one of the new iPhone 8 and iPhone 8 Plus cases already being offered by top case manufacturers. Read on to discover the latest, most popular, and best-looking iPhone 8 cases. Note: Apple's new iPhone 8 and 8 Plus models are nearly identical in size and proportion to the company's previous iPhone 7 and 7 Plus models, being no more than two tenths of a millimeter longer on any given side. Also, both models share the same size cameras placed into the same positions, so most users should find that their favorite iPhone 7 cases will fit neatly onto the iPhone 8. As such, many of the cases we've featured below are marketed toward both devices. For many iPhone owners, nothing less than Apple's own cases will suffice. 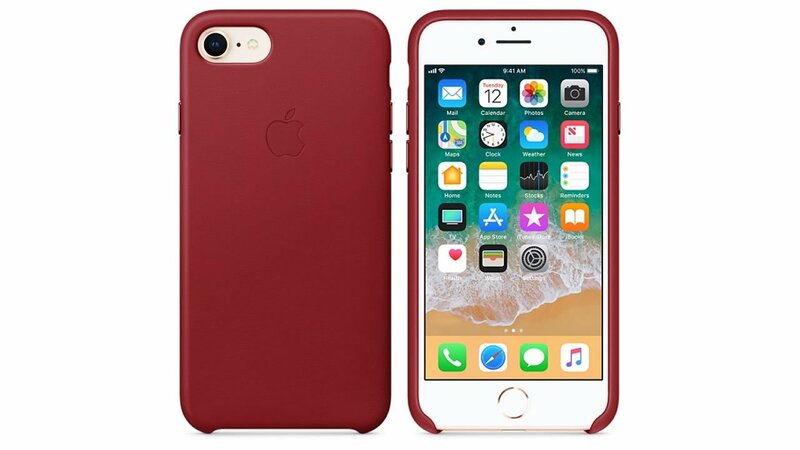 Fortunately, Apple knows its audience, and the company is currently offering leather cases that fit both iPhone 7 and iPhone 8 models. Several different color choices are available, including Dark Aubergine, Saddle Brown, and (Product)Red, featured above. Interested buyers can pick them up for $45.00 over on the Apple website. Some mobile users want to wrap their smartphones up in a case that provides a unruly amount of protection, and that's okay, because accidents can happen anywhere and anytime. 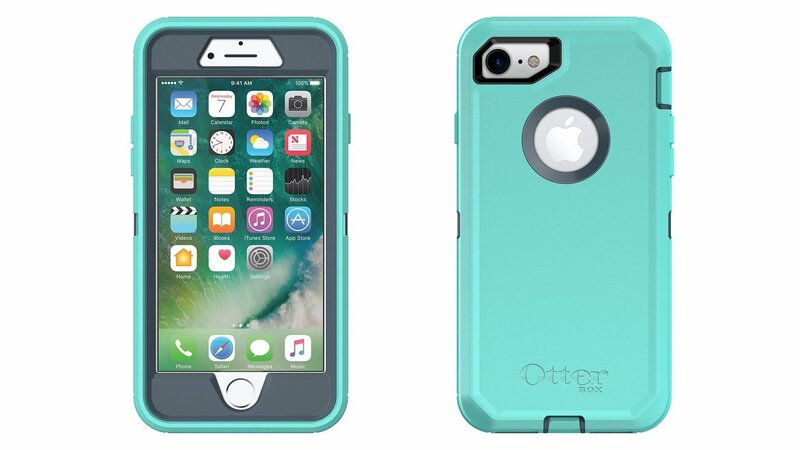 For all of the iOS users who might be more than a little accident-prone, Otterbox has Defender series cases ($24 via Amazon) that are tailored to suit standard-sized iPhone 7 and iPhone 8 models. As might be expected, these cases come in a series of different color choices as well as three distint Realtree-based designs, and as always, they're built tough enough to run the course. Spigen's Ultra Hybrid series iPhone 7 and iPhone 8 cases ($14 via Amazon) follow a standard design seen in phone cases produced by many different manufacturers. 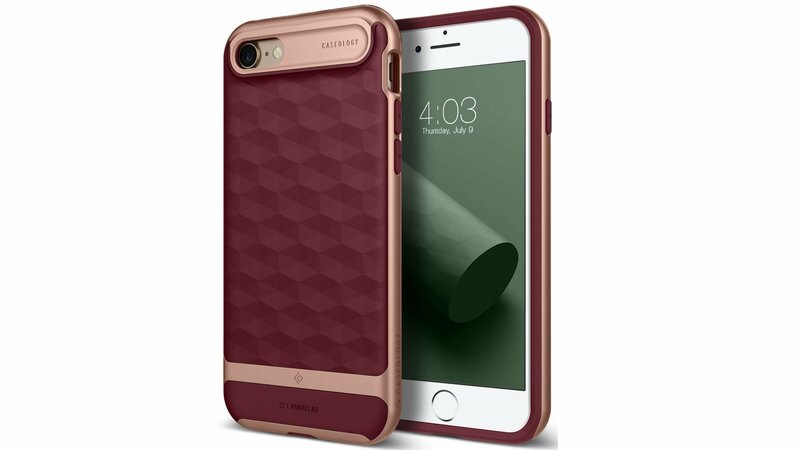 Despite being common, the design is good, and the shape and general function of the case will be instantly familiar with most iPhone users. 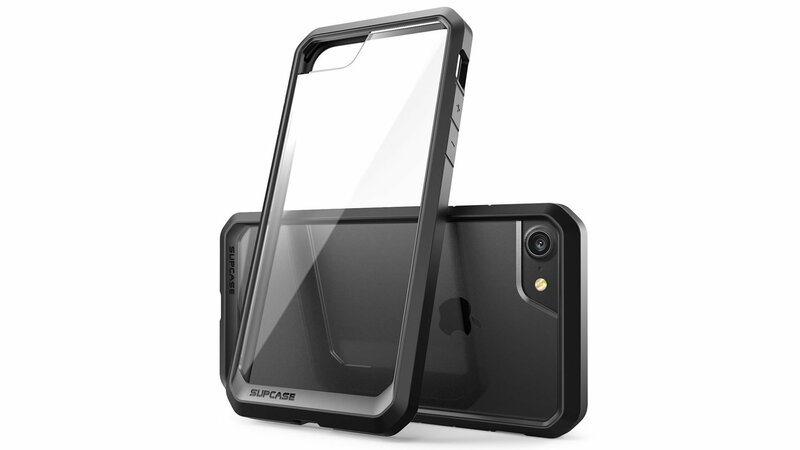 Each case features a moderate level of protection offered by standard TPU bumpers as well as a transparent PC back to show off the iPhone's signature design. To make matters better, several color choices are also available, including White, Rose Crystal, and the Mint option featured above. Supcase's line of cases have been a fan favorite for a while, and its latest Unicorn Beetle series ($17 via Amazon) packs the company's signature chunky-yet-sleek design into a case that makes mobile owners feel comfortable lugging their devices into the great unknown. 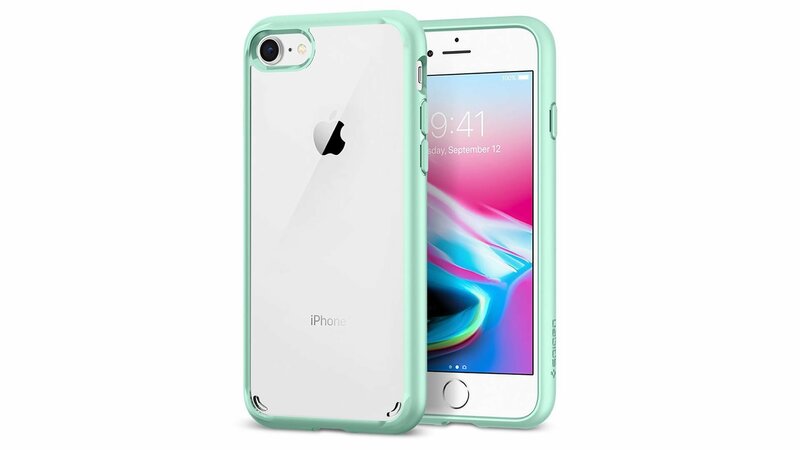 Forged with TPU borders and featuring a clear PC back, these cases provide a standard amount of protection and come in five different color choices, including attractive two-tone options in both green and blue. 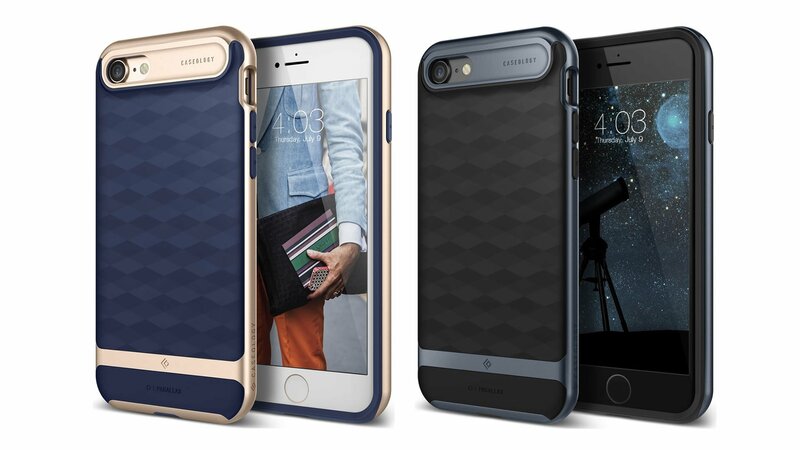 Like the Spigen case featured above, Caseology's Parallax series ($15 via Amazon) offers moderate protection in the same general design shared by a number of other cases on the market. To set itself apart from the crowd, however, Parallax cases feature a much more striking design made complete with a selection of different colors and accents. The Burgundy and Rose Gold choice featured above is a particularly nice choice, and Caseology achieved stunning results with their Navy Blue and Deep Blue options too. Owners will also be able to find other color choices, like Black and Ocean Gray, available in cases designed to fit iPhone 8 Plus models. Curious about fashionable and functional accessories for all manner of mobile devices? If so, be sure to check out Modojo's guide to the Best Mobile Accessories.